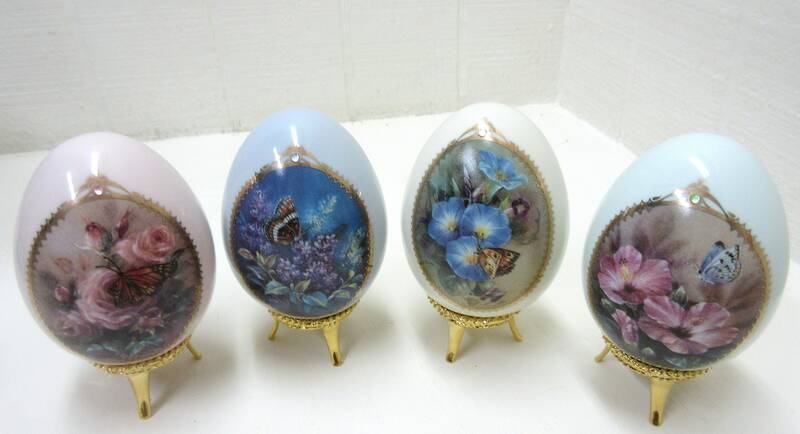 You might be interested in this set of 4 Lena Liu porcelain eggs from the Danbury Mint Butterfly Garden Collection. These eggs are in really good condition, don't have any issues. Each one has its own gold tone metal stand for display. And, they still have the faux diamond near the top of the egg. 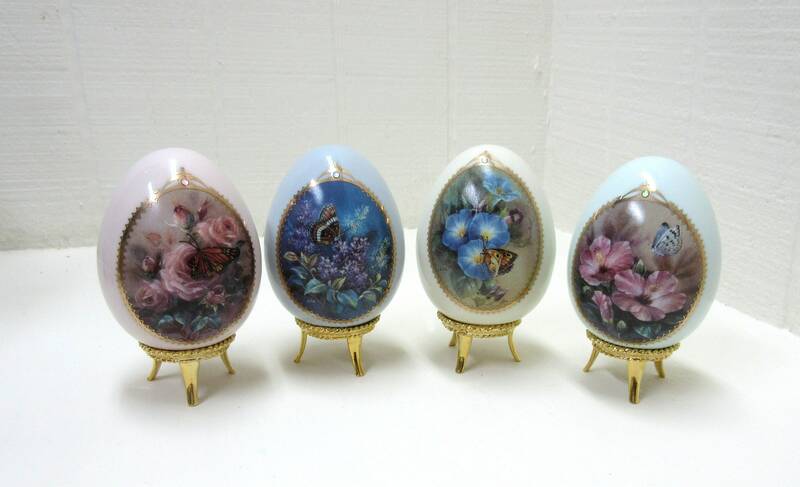 These porcelain eggs are named: Lilac & White Admiral, Rose & Monarch, Hibiscus & Northern Blue and Morning Glory & Ringlet. 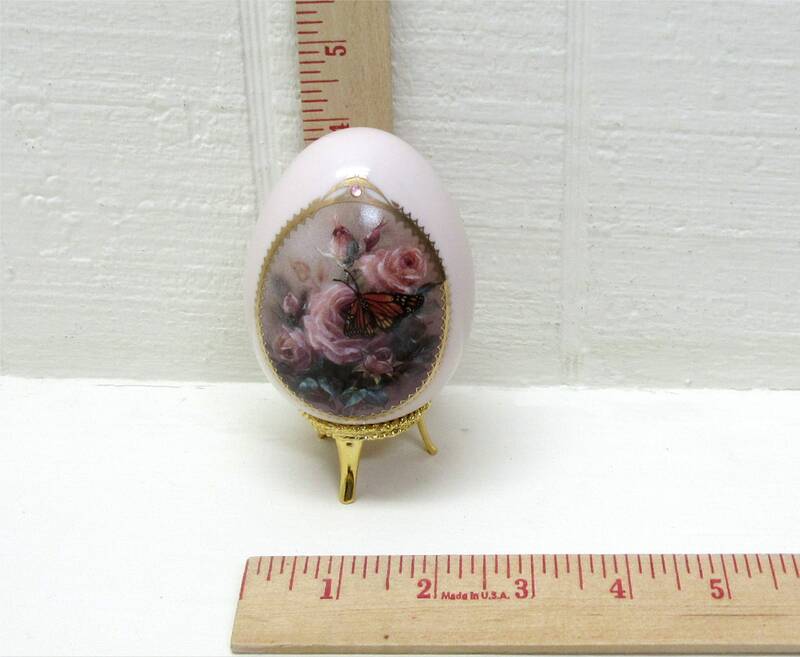 Each on measures about 4-1/2" tall, including stand, x 2-1/2” in diameter.